They also have one major disadvantage: they require sensitive handling as they do not tolerate any non-compliance with prescribed values ​​such as temperature and current load. Subsequently, their service life may decline substantially, and the safety of their use may be impaired. This is in practice prevented by managing the cells using a special hardware - BMS (Battery Management System). In our case, we developed the EVC BMS, which we dare to rank among the world class. If you have read the chapter on choosing the right type of battery article, the first thing you might think of is that each cell should be controlled in a different way - because each cell is different. And yes, you are right. The better the BMS can manage the cells, the longer their lifetime and the higher and more balanced performance of the battery will be. 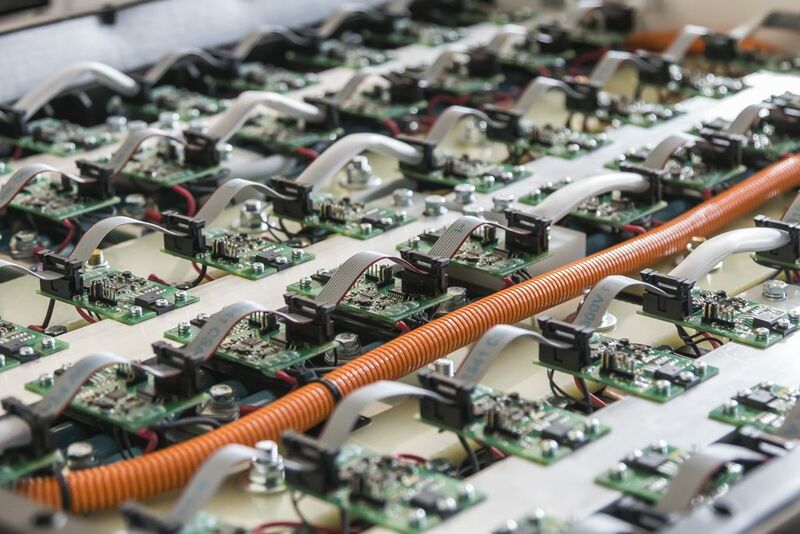 We obtain huge amount of analytical data from our own battery cell development lab. 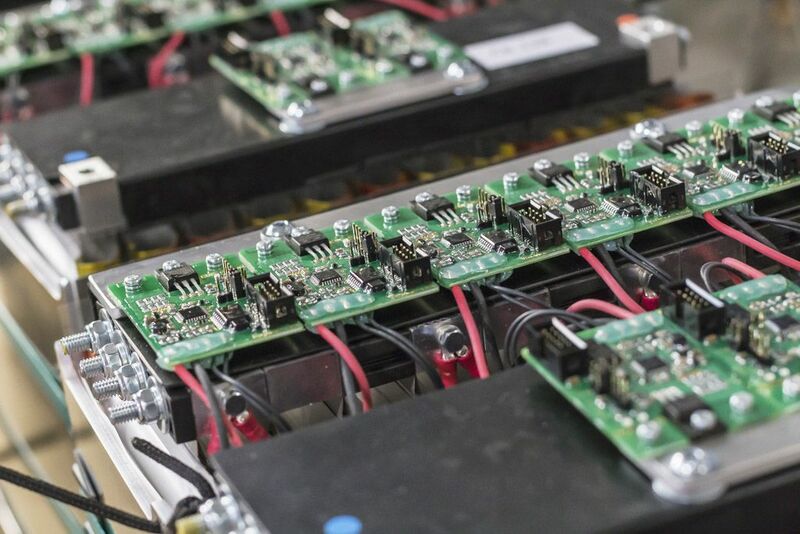 Based on these, we tune our BMS software so that we can monitor and control the health of battery cells or their parallel strings to the smallest detail. Thanks to our BMS, you have the guarantee of maximum battery life and maximum performance. All operational data can be stored or sent via our BMS. And once again, based on this data, our hardware and software are being refined. As we have mentioned above, the basic limitation of lithium secondary cells is their sensitivity to handling - individual cells must not be charged or discharged below a certain limit, just as they have to be operated only within a certain temperature range. Based on these parameters, BMS manages and maintains the cells in good shape. E.g. it adjusts voltage between cells, reduces power or shuts down the battery in case of overheating, etc. BMS has to work very fast, in practice the responses between measurements and actions are in the order of milliseconds. BMS quality is crucial for battery life and performance – and as a result for your economy.